A matryoshka doll, also known as a Russian nesting doll or a babushka doll, is a set of dolls of decreasing sizes placed one inside the other. The word matryoshka (Russian: матрёшка) is derived from the Russian female first name Matryona (Russian: Матрёна). The word babushka (Russian: бабушка) is the Russian word for grandmother. 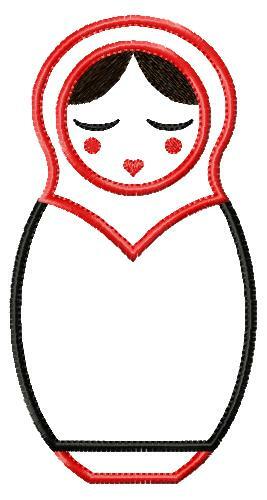 And here is my latest design - simply called BABUSHKA DOLL. She's as pretty as a picture with her downcast eyes, red cheeks and heartshaped mouth. Change her hair color and dress her in fabrics from your stash to create many different looks. This design comes to you in 4 sizes to create a perfect row of Russian Nesting Dolls - 4", 5", 6", 7". 4x4 hoop - exact size 3.93" x 2.09"
5x7 hoop - exact sizes 4.96" x 2.61", 5.96" x 3.13", 6.96" x 3.65"
- BABUSHKA DOLL in 4 sizes in the format of your choice. 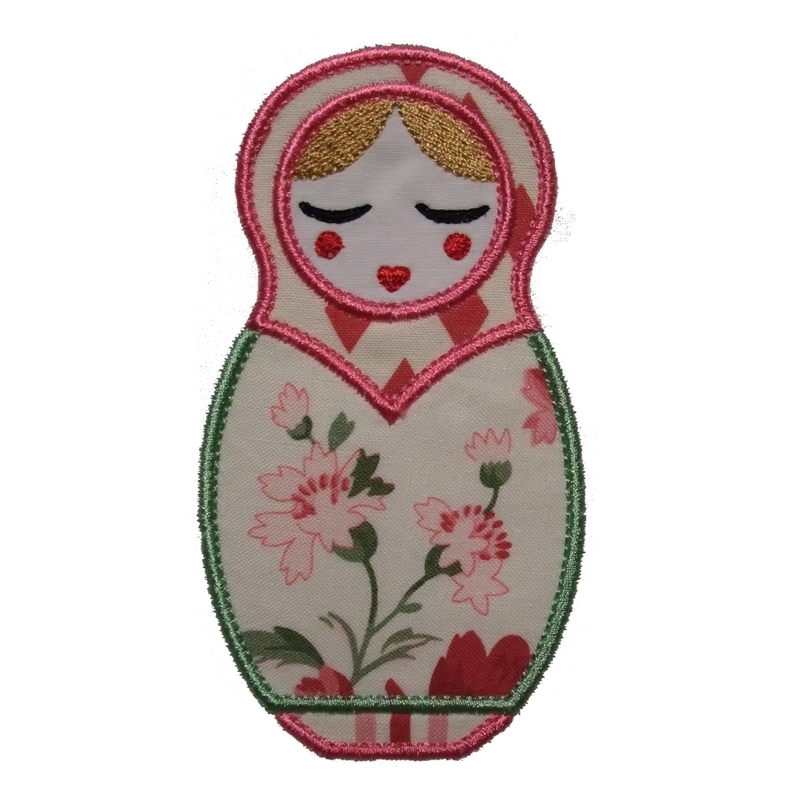 Have fun using different thread color and fabric color combinations with BABUSHKA DOLL and you will be rewarded a vast array different looks. Make your dolls shine by using gold or silver metallic thread.